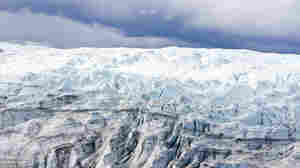 July 25, 2012  Satellite images show that from July 8 to July 12, nearly all of the ice sheet covering Greenland had experienced some melting. According to NASA, it's the biggest summer melt in more than 30 years. 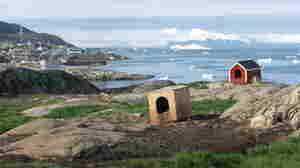 July 20, 2011  While the 4,500 or so humans in the fishing port of Ilulissat welcome the warmer months, the 3,500 sled dogs seem to wish it was still winter. If it were, they could be out hauling sleds. 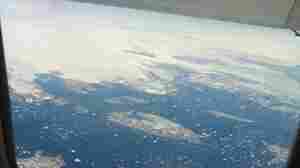 July 8, 2011  At the risk of being included among the "Lazy Lay-Over Guys" who try to describe the island nation based on a brief visit, NPR's Philip Reeves offers his impressions of a stunning land on the edge of the Arctic Circle.